The taberna consists of one rectangular room. It has a wide opening towards Via del Vesuvio. 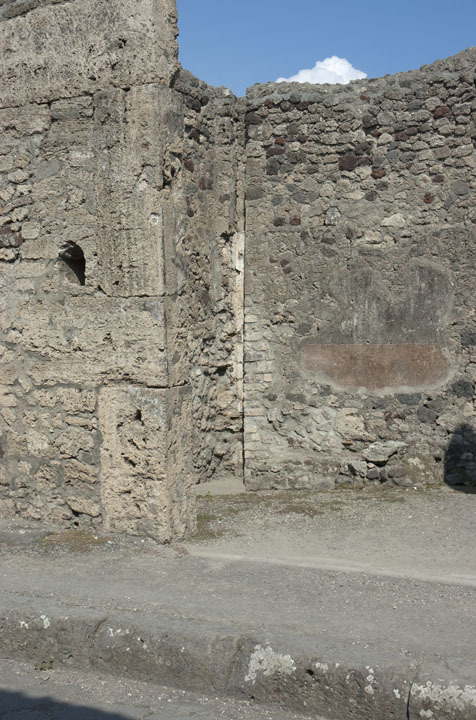 A small window was located in the northern part of the west wall. In the same wall there was a hole in the wall at the floor level, with a lead pipe running through the wall. There were remains of rough wall-plaster on the walls. The taberna had a cocciopesto floor. Along the eastern wall there are remains of a staircase foundation. 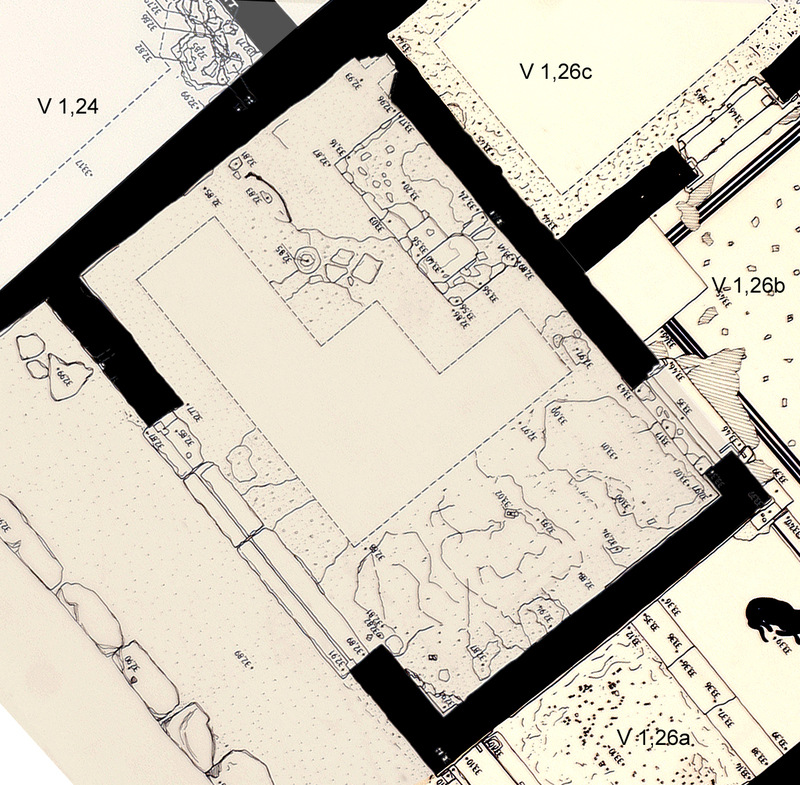 South of this foundation, there is a door opening in to the atrium b of V 1,26, South House of Caecilius Iucundus. In the northeastern corner, north or the staircase foundation, are the remains of a latrine. The latrine had been connected to a latrine at the upper floor. Remains of the cesspit connected with the latrine were located during the 2005 cleaning of the taberna floor. Photos of the 19th century, as well as the model of Pompeii from the late 19th century in the Archaeological Museum of Naples show that the door opening to the atrium V 1,26b in the South House of Caecilius Iucundus was partly filled in when the house was excavated. 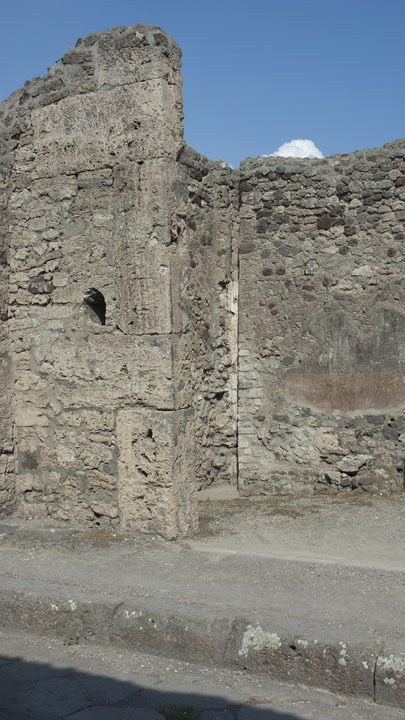 This shows that taberna 25 was walled off from the South House by the time of the eruption. There is nothing left today of the filling.